It’s official, the 2nd Annual Northwest Pen Round-Up! 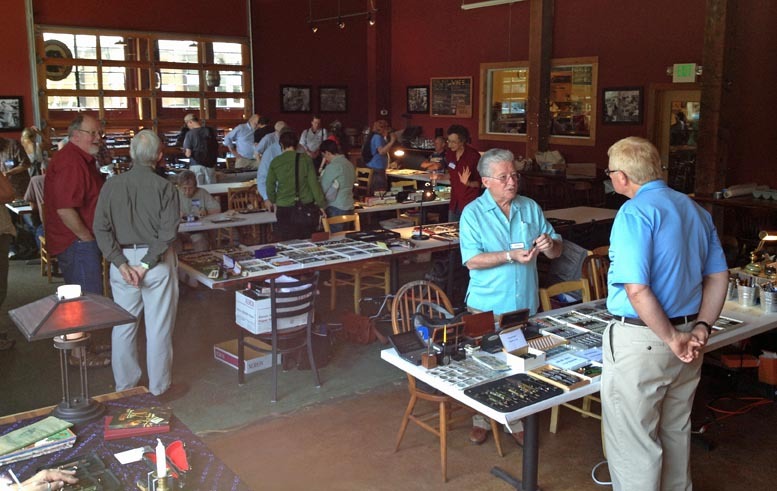 will be held on Saturday July 12th, 2014, at the Lucky Labrador in Portland, Oregon, from 11:00 a.m. until 6:00 p.m. It is the same weekend as the largest antique show in the Northwest, the Christine Palmer Antique Show. We had quite a turnout last year. We hope to make this event even bigger this year.There were people there from B.C., Washington state, Oregon, California, Wisconsin, Iowa, and possibly from states that I was not aware of. 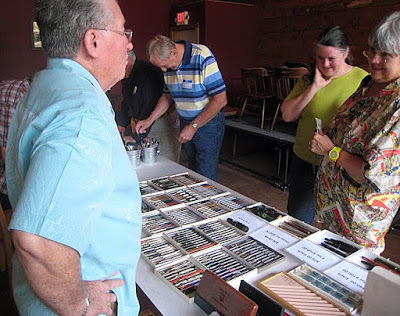 There were plenty of fountain pens, mechanical pencils, desk top items, items from typewriters to cameras. There was plenty of commerce in writing instruments and plenty to buy, sell, trade,admire, learn about and discuss. All pen collectors and users are invited, wherever you are. We do not limit this event to just people from the Northwest or the West Coast. The address for the Lucky Labrador Brewing Co. is 1945 N.W. Quimby Street, Portland Oregon, U.S.A. The Lucky Lab offers very reasonably priced food and libations in a converted industrial space, near downtown Portland with easy freeway access. Anyone coming should consider taking in the Christine Palmer Antique Show (http://christinepalmer.net/), at the Expo Center. It is the oldest and largest antique show in the Northwest. Early admission to the antique show is Friday and the show is Saturday and Sunday. The Summer show is the largest of their shows and has many booths indoor and outdoor. The weather in Portland is usually very mild compared to the rest of the country in the Summer. 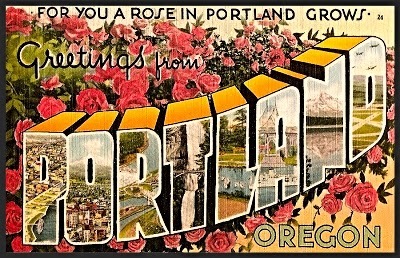 There are lots of things to do in Portland and it is often voted one of the more livable cities in the country. A couple of photos from the 2013 N.W. Pen Round-Up!